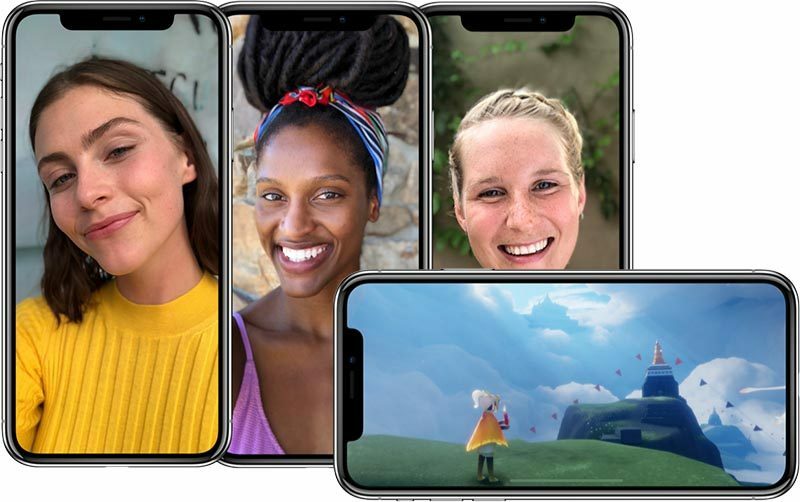 Given the iPhone X's design was leaked months before it was unveiled, many people wondered how Apple would choose to approach the notch housing the device's new TrueDepth front camera and facial recognition system. Now that the iPhone X is official, we know the answer. 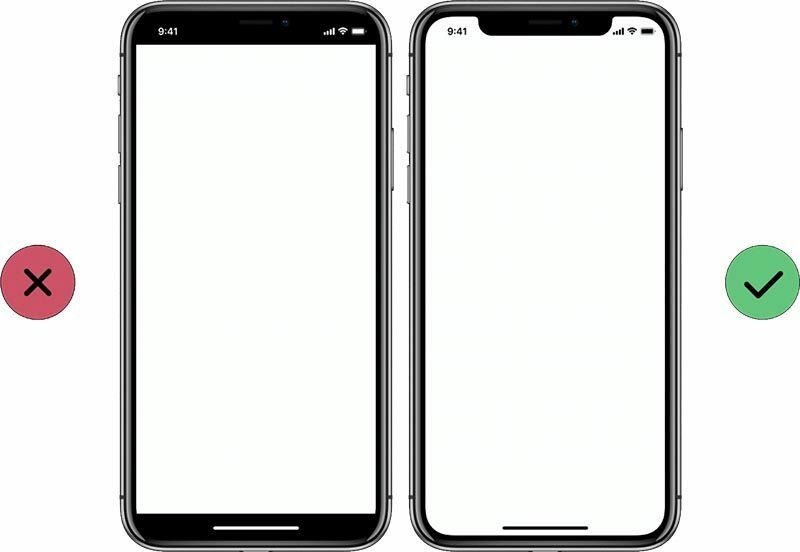 Apple's new human interface guidelines for the device advise developers to embrace the notch by ensuring the layout of their apps fill the entire screen. Don't mask or call special attention to key display features. Don't attempt to hide the device's rounded corners, sensor housing, or indicator for accessing the Home screen by placing black bars at the top and bottom of the screen. Don't use visual adornments like brackets, bezels, shapes, or instructional text to call special attention to these areas either. In fewer words, Apple doesn't want developers to hide the notch or swipe indicator by placing black bars at the top and bottom of the screen. Apple says most apps that use standard, system-provided UI elements like navigation bars, tables, and collections automatically adapt to the device's new form factor. Background materials extend to the edges of the display and UI elements are appropriately inset and positioned. 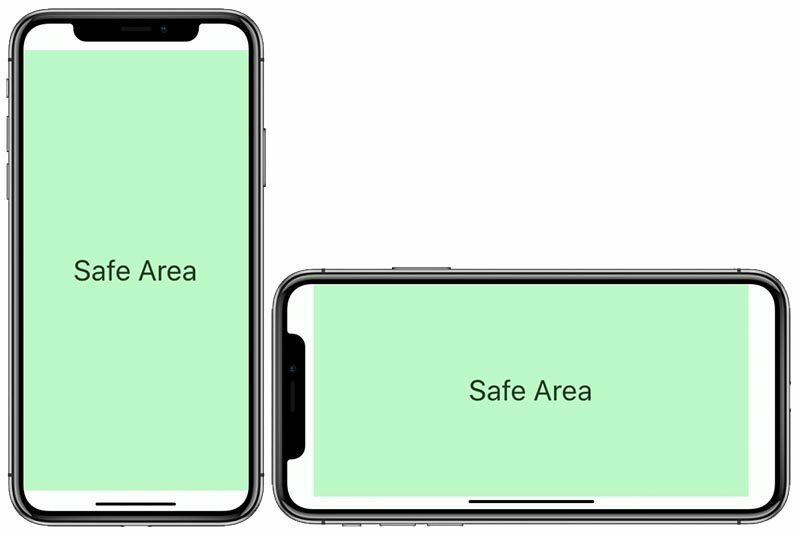 To ensure that content isn't clipped or obscured by the iPhone X's rounded display edges, sensor housing, or swipe gesture indicator, all apps should adhere to Apple's safe areas and layout margins to ensure approval on the App Store. Apple also instructs developers not to place interactive controls at the very bottom of the screen, or in the corners, to avoid interfering with gestures such as swiping up from the bottom edge to return to the home screen. 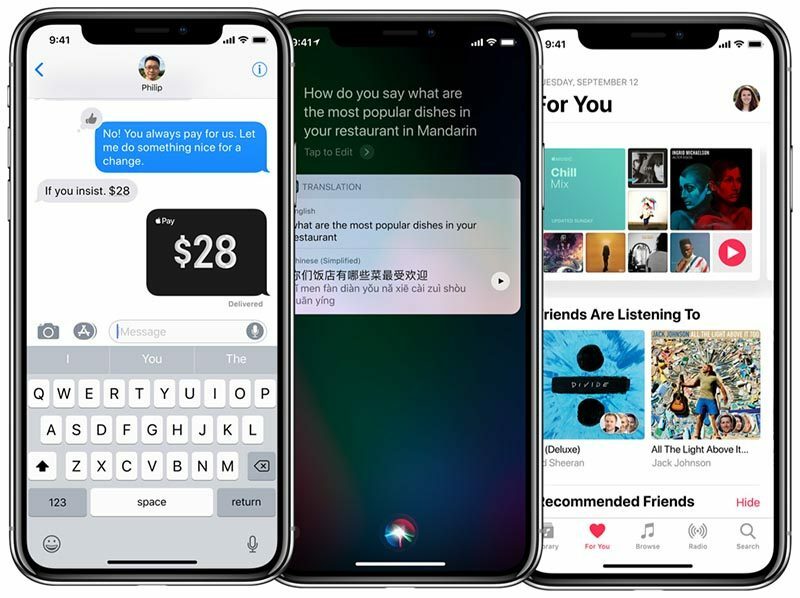 Apple's website provides plenty of examples of how apps with system-provided elements will look, such as Messages and Apple Music. Notably absent from Apple's marketing materials are any screenshots of apps in landscape mode, aside from games, and the reason may very well be that many of them don't look as pretty in that orientation. Using the iOS simulator in Xcode, several developers have shared screenshots of what landscape apps will look like on the iPhone X, and some of them have expressed their dismay about how they look. As noted by developer Thomas Fuchs via The Verge, landscape orientation on iPhone X looks especially worse in Safari, as Apple has letterboxed websites by adding bars to the left and right of the screen—all to avoid the notch. Fortunately, it appears the bars won't always be white. The exact color may depend on HTML background color values. The situation is different for widescreen photos and videos, and full-screen games, which are partially overlapped by the notch. Fortunately for videos, at least, Apple automatically insets them to avoid the notch by default. A user can double tap a video to make it full screen, at which point it becomes overlapped by the notch again. Meanwhile, based on Apple's size classes, iPhone X is considered to have "compact width" and "compact height" in landscape orientation. 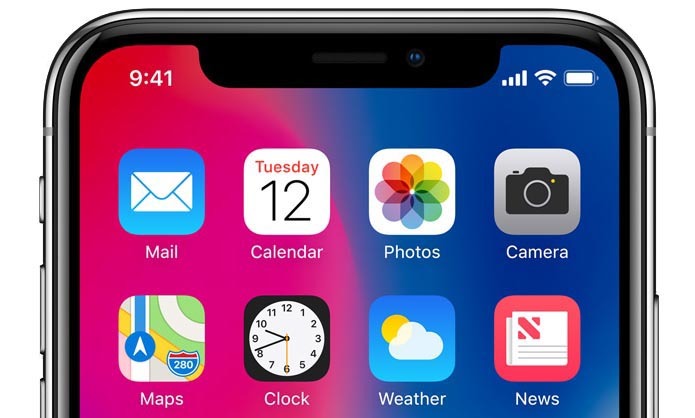 Essentially, because of the iPhone X's swipe gesture indicator, its 5.8-inch display actually has less vertical space than the 4.7-inch iPhone 8 in landscape orientation, according to developers Sean Choe and Steven Troughton-Smith. A number of tech enthusiasts believe Apple should have given the iPhone X's slightly larger top and bottom bezels to avoid having a notch, akin to Samsung's Galaxy S8, Xiaomi's Mi Mix 2, and LG's V30. A few Twitter users went as far as mocking up what the iPhone X could have looked like with said design. For now though, at least, the notch is the future. When the iPhone X is released in early November, we'll get our first taste of the new user experience, and many developers will certainly tailor their apps as best as possible. What a UX nightmare. Jesus. "Make a bezelless phone! Smaller bezels the better!" "Why didn't you make thicker bezels to hide the necessary cameras and sensors? Nobody asked for bezels that small." We can only hope that Apple starts putting notches on their MacBooks, iMacs, and iPads so that there is uniformity. A notch in every Apple display would take a lot of courage. Purely a marketing tatctic. If they hid the sensors within a small bezel, the phone would look just like an S8, G6 etc. they want this phone to stand out. When you see that notch you’ll know exactly what phone it is. "The far corners of the screen can be difficult areas for people to reach comfortably." I anticipate these guidelines changings, and software updates changing how the edges of the display will look within apps. "Controversial"... just like the iPhone 7/7+'s "controversial" camera bump. Now nobody even thinks about it. People always have to make something out of nothing. Ugh. *shrugs* it looks damn cool to me but whatever. Not sure how having a piece of games and videos missing is "cool", but okay. I laughed at this. Wasn't this the whole point of the one handed mode? Because it's tough to reach the top of larger phones? The time looks off-center. I want to move it to the left by a mm or so. No one asked for a notch in the top. Now that one is there, the bezel at the top makes sense. It's ok to adjust as you are given more details. The notch is out of place when in landscape. For a company that has painstakingly talked about .001mm chamfers on corners of devices, this is a complete screw up. It can be taken care of by the OS but they are refusing to do that for some odd reason.